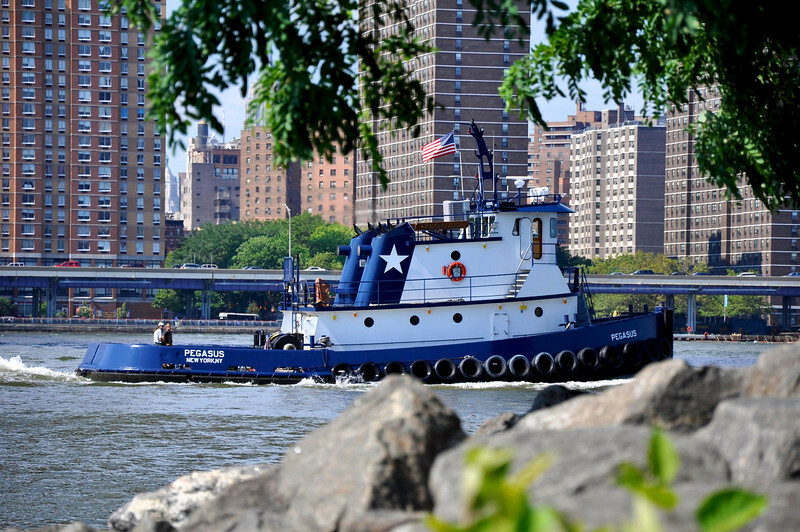 Tugboat on The East River. Fantastic capture, light, textures, lines and comp! Very well captured........lovely partial framing of the trees!! !